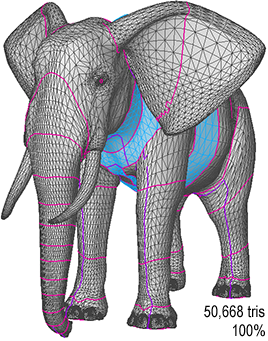 The low resolution meshes of the DAZ 3D African Elephant model with 50,668 triangles have been constructed using novel pixel-based tolerance simplification. 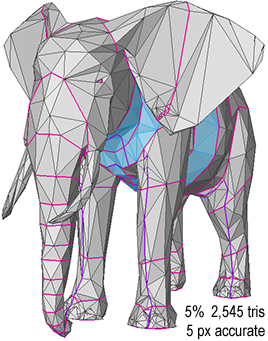 The specified pixel-based error tolerances are relatively to 480 x 480 viewport. 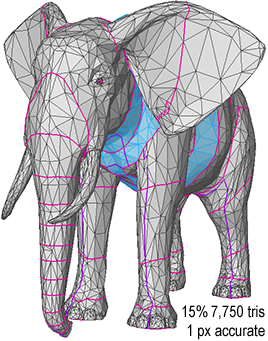 Note that from any viewing direction, the resulting model's silhouette doesn't deviate by more than the specified pixel count.